Hi, Friends! I’m here today with another awesome offer from my friends at Grove Collaborative. 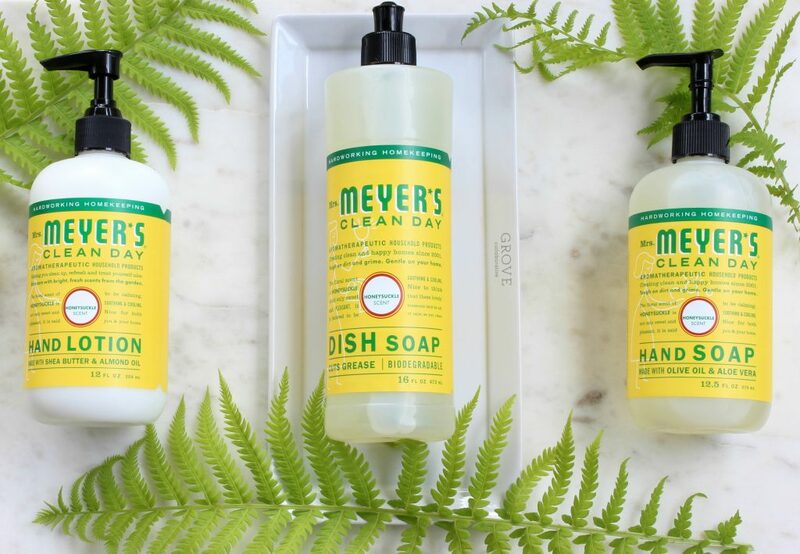 If you love Mrs. Meyer’s Clean Day and how these amazing products not only clean your home, but also their fresh scents – this is for you! Right now, as a new customer with Grove, and you order any combination of items for $20, you will receive the brand new Mrs. Meyer’s Hosting Kit for FREE! A few times a year, Grove has specials like this for new customers and I love bringing them to you! 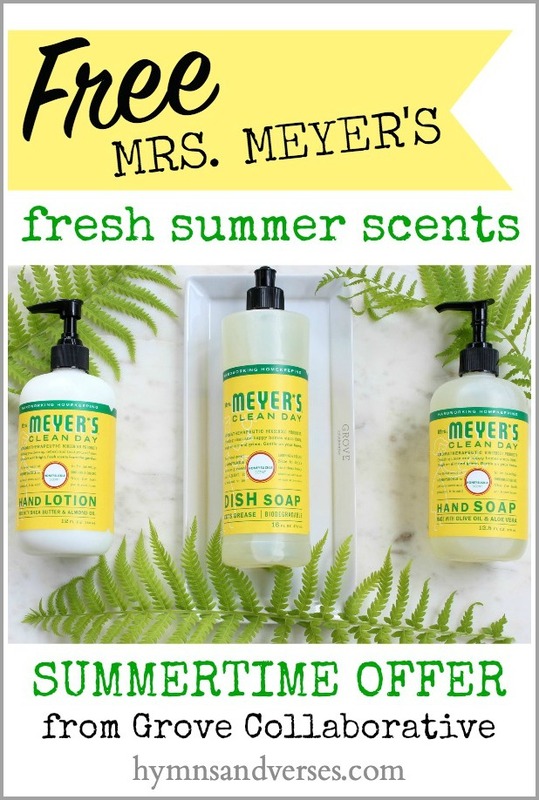 I particularly love the specials that offer you the Mrs. Meyer’s products! Why – because I use them myself and love them! The scents are amazing and each season there are a few that are always hard to find! And, that’s one reason I love shopping with Grove, they always have the best selection! If you are an existing Grove customer, you can get the new ceramic sink tray for 25% off HERE. You may wonder what’s the big deal shopping with Grove? So I thought I’d share my experience and why I shop at Grove Collaborative. I can find all of of my favorite natural products in one convenient place! I can’t tell you how many times I have searched the aisles of my local retailer for a particular product that I hear about, only to find they don’t sell it. It’s so frustrating! 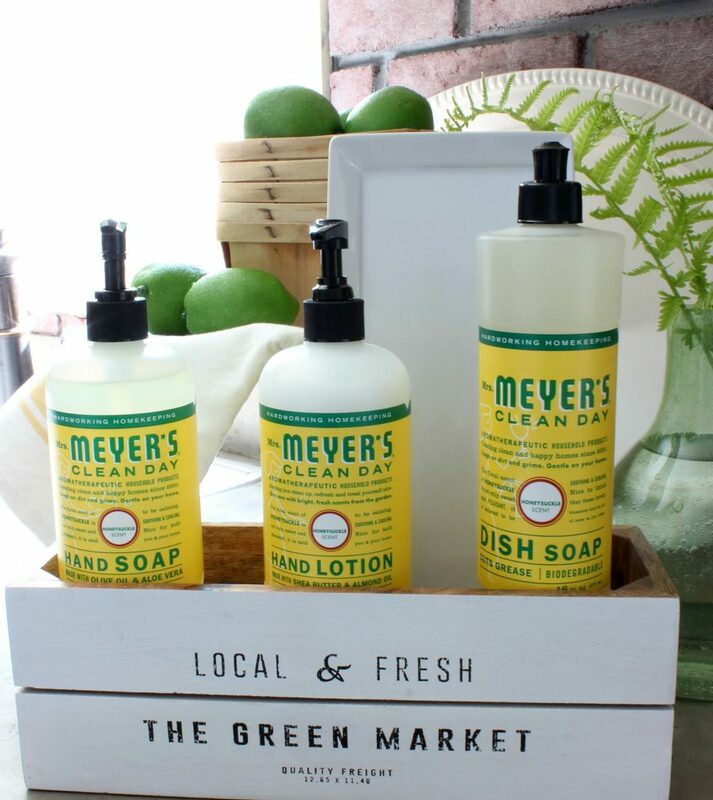 At Grove, they carry the top natural brands like Mrs. Meyers, Acure Organics, Method, Tom’s of Maine, Seventh Generation, and more! I set the order schedule. I never have to order something I don’t want or need. Grove will let me know when it’s getting close to the time to place my next order. I log into my Grove account, check my cart and make sure everything is there that I need. Once the order is placed, I receive my items in just a few days at my doorstep! I’ve never had an order that arrived damaged. Everything is always packaged safe and secure! If I check my cart and I really don’t need anything, then I can reschedule the shipment! They make it so easy! Ordering from Grove saves me time (going from store to store to find what I’m looking for) and money (their prices are competitive). And, in the case of Mrs. Meyer’s, my local store may carry some Mrs. Meyer’s products, but most don’t carry the entire line with all of the scents available! And, for me, the scents are what get me every time! I had a hard time choosing my own summertime scent, but ended up with the honeysuckle. And, the scent is dead on! It takes me back to my childhood when I would visit my Aunt Mary’s farm and she had the most amazing honeysuckle filled trellis! Now imaging your home filled with this yummy scent while you do your dishes or wash your hands – ahhhh! I also picked up the Mrs. Meyer’s all purpose cleaner in the honeysuckle! I love this product for cleaning my countertops, table, and I even spritz a Swiffer dust cloth with it to clean my floors. If you are a regular reader here, you know I don’t promote something that I don’t use myself and believe in! I can tell you that shopping with Grove has changed the way I shop for cleaning products that I use in my home! And, I can’t say enough about their customer service! This special Grove Collaborative Hosting Set is only available while supplies last and expires Sunday, July 17. Click HERE to claim the FREE Mrs. Meyer’s Hosting Set from Grove. And, existing Grove customers can get 25% off of the brand new ceramic sink tray HERE. I know you will love these sweet summertime scents! Thank you so much foe sharing! Looking forward to trying the products & the Grove Collabrotive service!